Pounds of samples, acting like I know everything, and spending too much at the bar. The answer? I think it’s time to dive back into some world whiskies and some standard fare. Oh don’t worry, I’ll still find a way to somehow taste something rare, IB, or very over priced that I shouldn’t have spent money on. I’m anything but not consistent. Have I mentioned that Pacifen is the main reason I get to review this one? Not yet? Well then I should. Pacifen = Awesome (or horrible if you hate my reviews, depends on your point of view). Trying new Lowlands is always a little bit of a mine field. Auchentoshan is usually your “go-to” option. Or rather “not paying a lot for bad whisky” option. 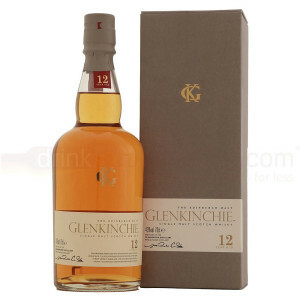 However you can’t really judge an entire region on one (or two) distilleries, so branch out we shall with the Glenkinchie 12.